Teaching in Thailand will allow combining your passion for Teaching English with your love for traveling. You just need to be a positive, creative, genuine and funny teacher that will inspire student during his/her lessons. 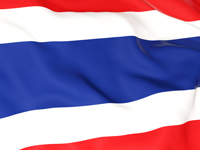 My client is looking for ESL Teachers to place all around Thailand in more than 70 schools throughout the country. Placements in Kindergarten, Elementary or High schools as you prefer. Most placements are in the North of Thailand and this will give you the chance to travel during weekends or holidays and visit amazing places still not crowded by tourist - Chiang Mai, Chiang Rai, Lampang - or even go to visit other countries such as Myanmar, Laos, and Cambodia.